The Honors College coordinates National Student Exchange (NSE), which provides opportunities for undergraduates to study for up to one calendar year at another NSE member college or university. With more than 150 colleges from which to choose, students can find a campus with just the right combination of courses, facilities, and environment to meet their personal academic interests. There are several funding plans for NSE study, including the opportunity to pay only UofM tuition while attending another school. Students are encouraged to select colleges and universities that will provide learning opportunities to supplement and complement those of your degree program and assist you in reaching your educational goals. It is also important to select campuses that will stimulate personal growth and development and allow you to experience the educational, geographic, and cultural diversity found among NSE's members. NSE utilizes two options for payment of tuition and fees. When you are a student on NSE Exchange you will pay resident tuition and fees to your HOST campus or your regular tuition and fees to your HOME campus. One or the other, not both. Host Payment (Plan A) - student pays in-state (resident/provincial) tuition and fees directly to the host campus (and no tuition is paid to the home campus). Home Payment (Plan B) - student pays their normal tuition and fees to their home campus (and no tuition is paid to the host campus). Please Note: The availability of payment options depends on individual NSE schools. You can view availability on an NSE schools page under the section, "Chance of Placement". Payment is to be submitted at the UofM bursar's payment windows located on the first floor of Wilder Tower. The receipt is to be submitted with the NSE application form to the Honors College (see below). Miscellaneous Fees - Your host campus may have optional or mandatory fees, which are listed under the Tuition/Fees tab of their member campus profile. Course-Related Fees - Students should expect to pay the host campus for books and other course-related fees (laboratory fees, supplies, field study, etc). Consult the host campus' website and/or course catalog for this information. Maximum Course Load - Some campuses will charge additional per credit hour fees (on both A and B) beyond a certain number of credits. This information can be found under the Tuition/Fees tab of the member campus profiles. Room and Meals - Most NSE campuses have on-campus housing available. Consult the Room/Meals tab of each member campus profile for estimated costs. If you choose to live off campus, you will be responsible for securing a place to live and covering those expenses. 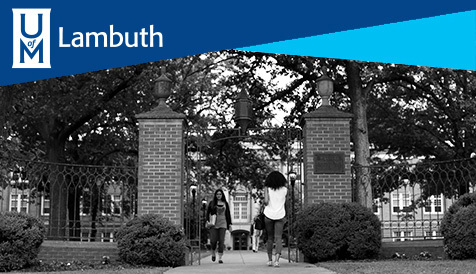 University of Memphis (UofM) students are able to use the financial aid and scholarships they normally receive toward the cost of participating in National Student Exchange. Host Payment (Plan A): Participant will receive their entire financial aid and scholarship package per the normal refund process and disbursement date and are responsible for paying the host institution tuition and fees. Home Payment (Plan B): Participant's regular financial aid and scholarship package will be applied toward their normal tuition and fees per the normal process. Excess funds will be refunded to student by direct deposit or check. Please Note: Students are not to file for financial aid (FAFSA) through their host institution. Participants are to file through the UofM per the normal process. No current or pending probationary status or disciplinary action due to academic dishonesty or student, civil, or criminal misconduct. Interested students must meet with a Honors advisor to ensure they are clear on NSE options, requirements, finances and policies before submitting the NSE application. Students are to meet with their regular academic advisor to ensure their preferred NSE school fits their degree program along with professional and personal goals. Pay the $190 NSE application fee at the UofM bursar's payment windows located on the first floor of Wilder Tower. Submit the completed application form and application fee receipt to the Honors College by the deadline. Please Note: It may still be possible to apply after the deadline if the preferred host school has available slots. You can view availability on an NSE schools page under the section, "Chance of Placement". For more information and advising, please contact honors@memphis.edu.